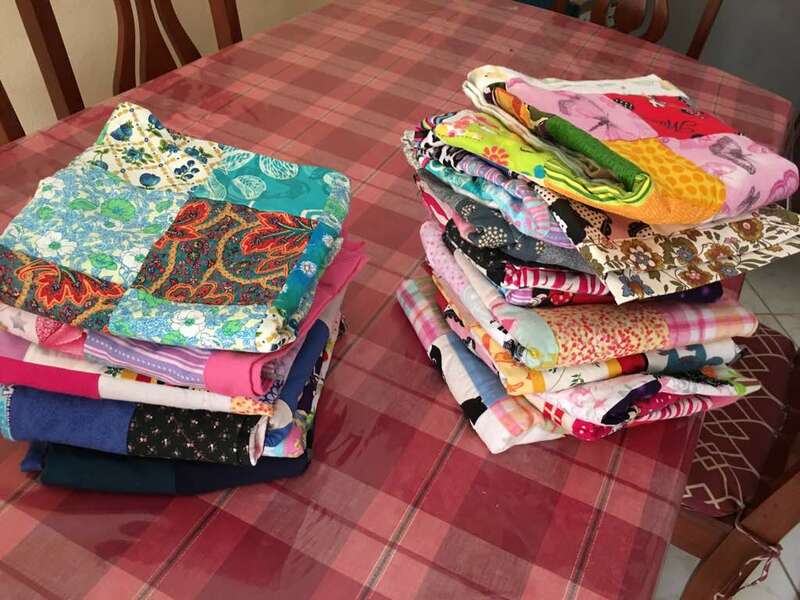 At one of our local Days for Girls sewing events, a volunteer started sorting the scrap fabric that is left after cutting the cotton shields on the dye cut machine. She took the material home, cut it into 4 inch squares and created a baby quilt. 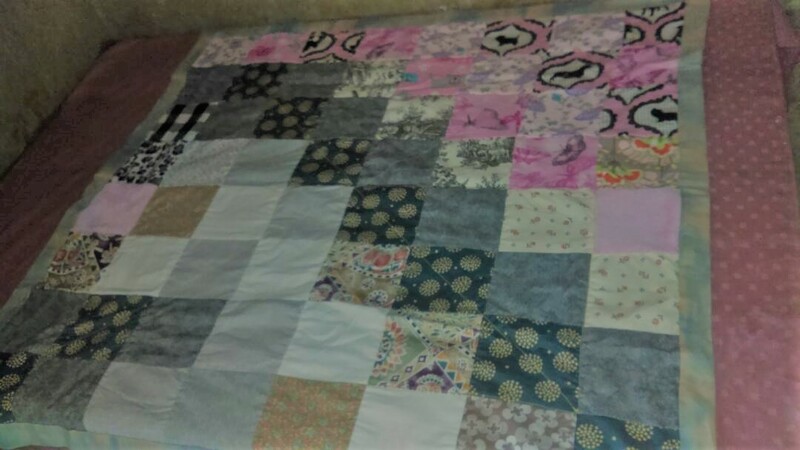 On a whim, we brought the quilt to Haiti and asked our seamstresses if they thought there would be a market for this product. 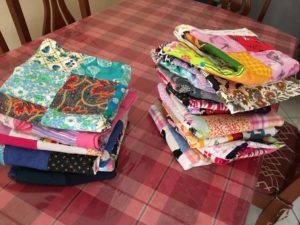 They were very enthusiastic and asked for as many scraps of fabric as we could supply. Since then they have created 30 baby blankets that have been sold to Healing Haiti, a NGO located in Port au Prince. 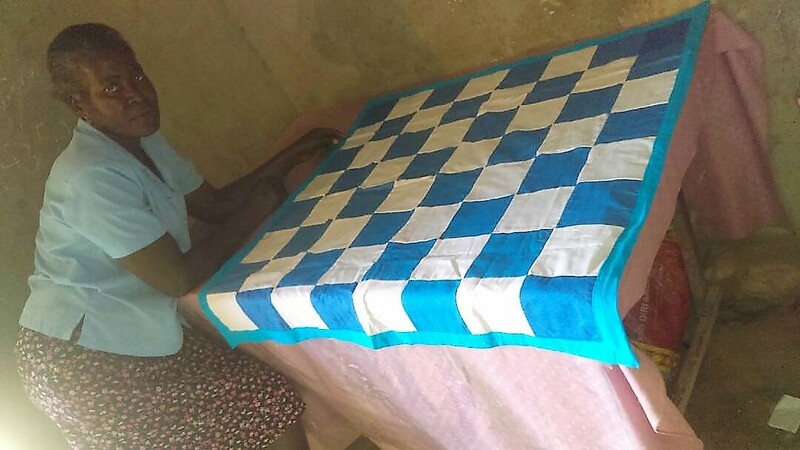 Because our orders for the menstrual pad kits is not steady, this is a product that the seamstresses are able to create and fill a need locally. We have been impressed with their artistic skills in matching and coordinating colors to create a beautiful product. This entry was posted in Uncategorized on June 10, 2018 by Leslee Jaeger.